Beautiful 6600 sq.ft. single family home with full size basement. Traditional american shingle style home with just 4 full a-la master suites on a second floor, but with large living area, kitchen, family room, formal dining, office and large entry area on 1st level. Basement has a workshop, movie theater, gym, large mechanical room for all equipment and some storage space. A lot of attention was given to exterior details. 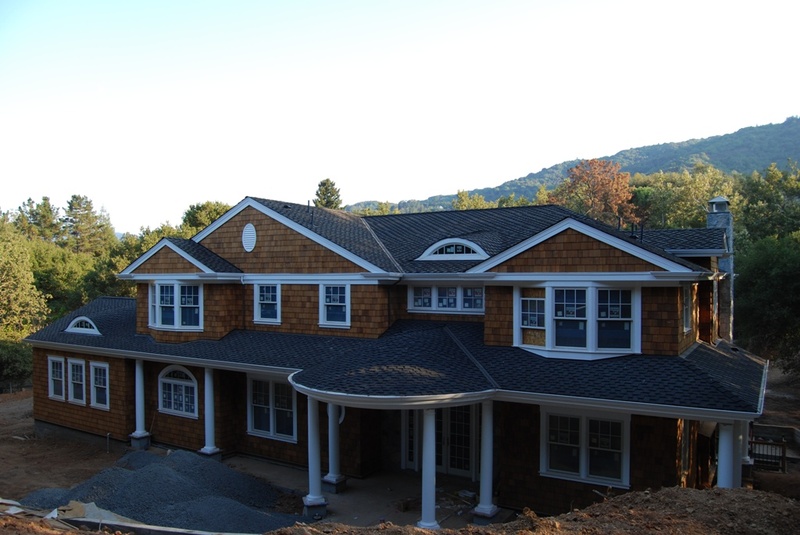 All custom columns, round shaped roof at the front entry, cedar shingles with weaved corners, window and door trim, eyebrow windows and oval windows along with similar shaped trim was a challenge. House has 2 separate heating systems. Regular HVAC and hydronic radiant heating throughout all 3 floors.